Mindy Simmons offers a spiritual perspective that is unique because it touches the Soul of the matter regardless of ones' religious observations. 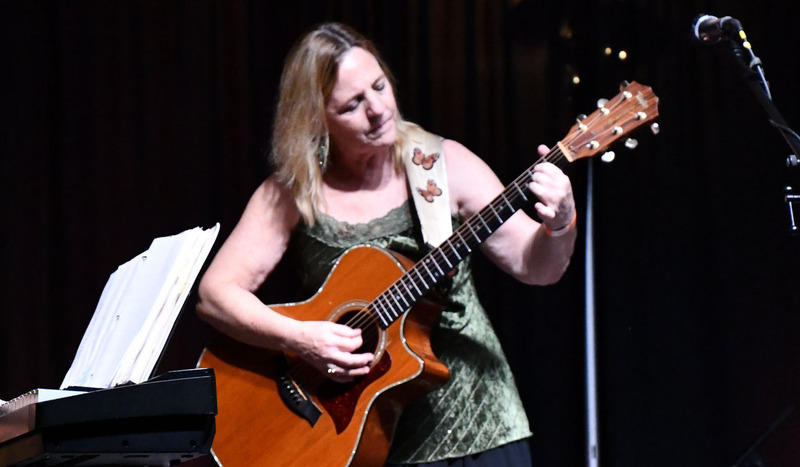 She takes secular music and brings it to a sacred space as well as sharing her own spiritual struggles, triumphs and love for the Divine Beloved through her original compositions. A sample of her style is showcased on her CD, If It Were Up To Me. Cuts include "Would You Believe In A Dream" written by Al Jarreau, "Try A Little Faith" written by James Hawkins, and her own compositions, "Peace Like A River" and "Permission Granted". Bring Mindy to your church or sacred function, for a special message that transcends faiths and beliefs. Music from the heart and soul. Contact the folks at MindyMusic by emailing Mindy Simmons or calling: 941.685.1010. Be sure to peek at all the pages, listen to our music, enjoy the folk music stations posted on the live 365 player as well. Then visit our CD page to place your order. We hope to see you soon at a live concert. Remember, Mindy is also a qualified music instructor. She provides beginning to intermediate instruction on piano, guitar, voice and violin. She also coaches for theatrical audition techniques and can prepare you for your musical and theatrical presentation.